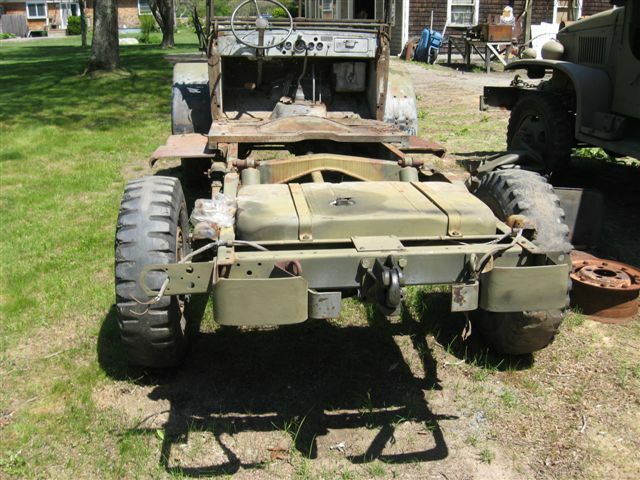 Military Vehicles and Related Items: We have a selection of historic military vehicles, parts, and artifacts from various eras. The vehicles are listed at the top of the page. 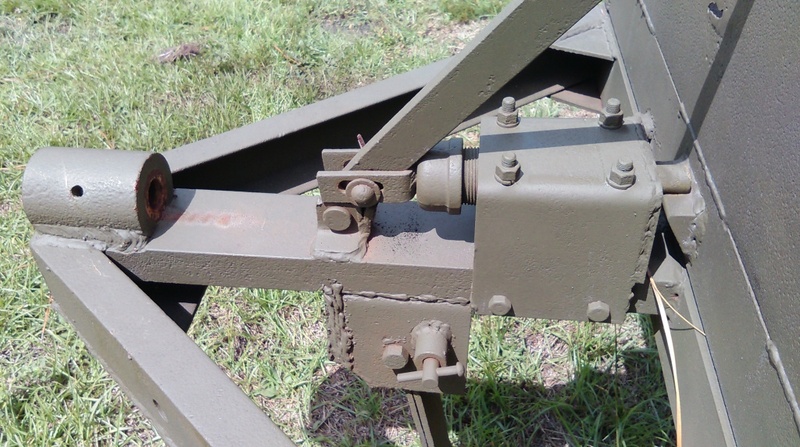 Scroll down to see our parts and some interesting military vehicle-related items. Click on the small image for a larger one! For information on these other items on this site, call or text 443-250-9037. Updated 23 March 2017. 8290. 1942 Ford GPW. As you can see, this GPW is well-restored but the work is about 13 years old. It has been well-stored and used monthly for re-enactments and living history events. The restoration was frame-off. Repairs included a front frame section repair and extensive body work on an original tub. 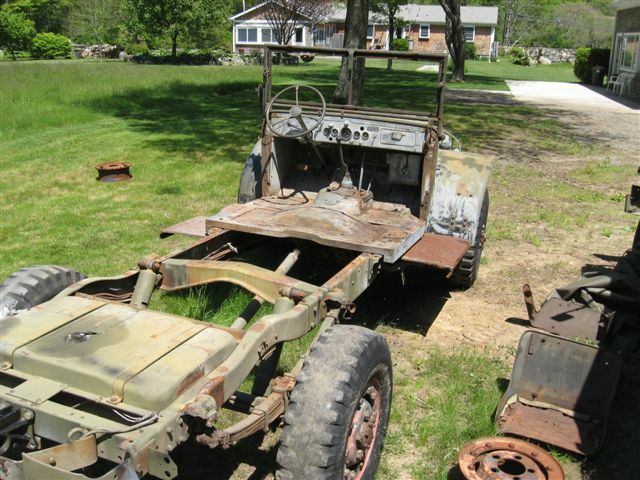 The work was done by a good country mechanic who had a real passion for WWII vehicles. The body had some blemishes which were kept to leave it as original as possible. When I inspected it, it started first turn after sitting for over a month. It went to a near-perfect smooth idle and maintained 30 lbs oil pressure. The test drive was notable because although a bit difficult to engage low range on the transfer case, four wheel drive operated flawlessly. There was no excessive drive-line lash or play and I was very impressed as that has rarely been found in most vehicles. This vehicle is available for viewing with one week's notice. Weekends are best. It is located in South Central PA near Lancaster PA.
7185. WWII Chevrolet 1 1/2 Truck. This truck was put together from several donors. It began life as a bomb truck. 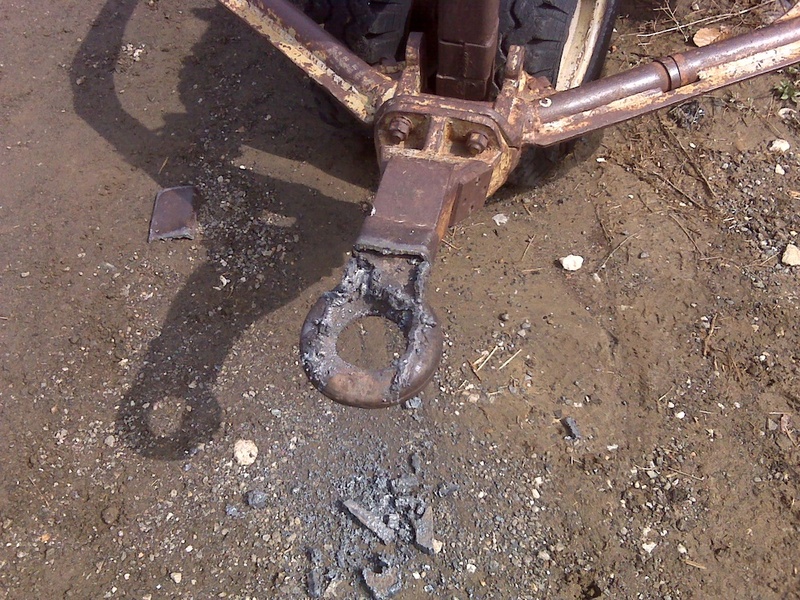 The frame was grafted longer and current owner repaired it to standard 1.5 ton length. A hard cab was sourced. 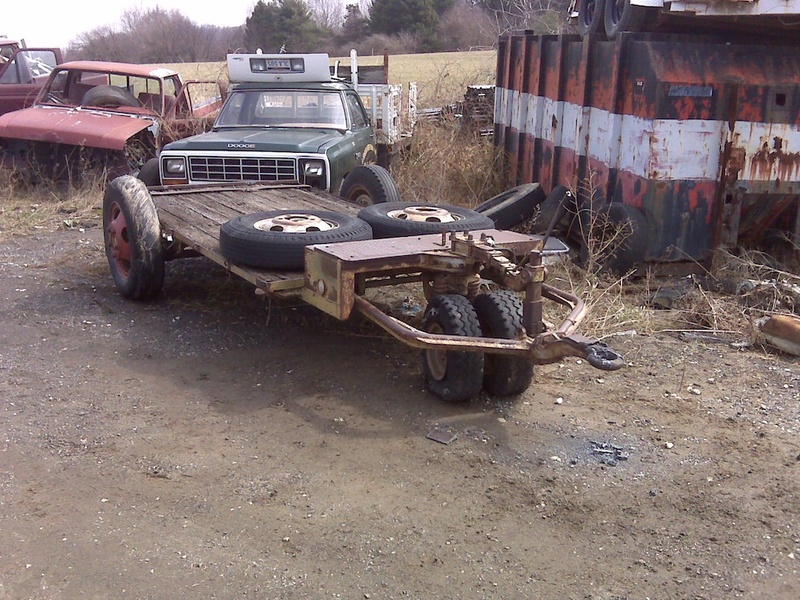 Current owner built a custom bed for this truck, composite wood and steel construction. 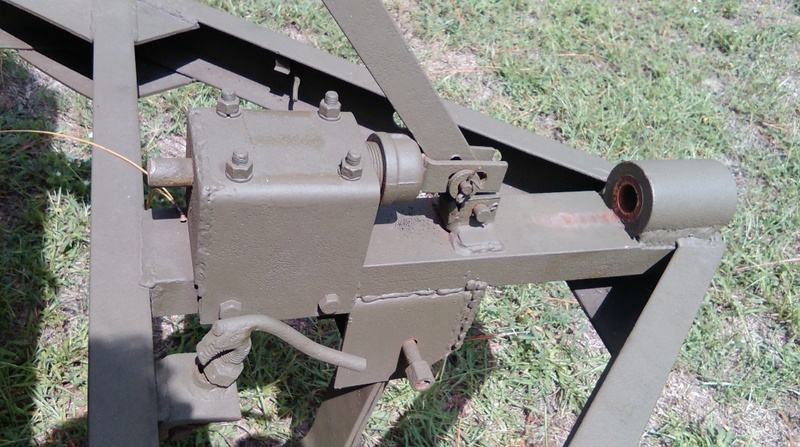 The original military engine with very few hours on a military depot overhaul was pulled apart by a local very reputable machine shop. The engine checked out and was re-assembled. Note original bomb truck seats in the cab. Note early war type of instrument panel. Engine is configured with 12 volt alternator, but all original 6 volt equipment comes with the truck for re-installation if the new owner desires. This truck starts, runs, and stops very well. Clear title in current owner's name. The truck is located near Baltimore MD and 1 day's notice is needed for viewing. 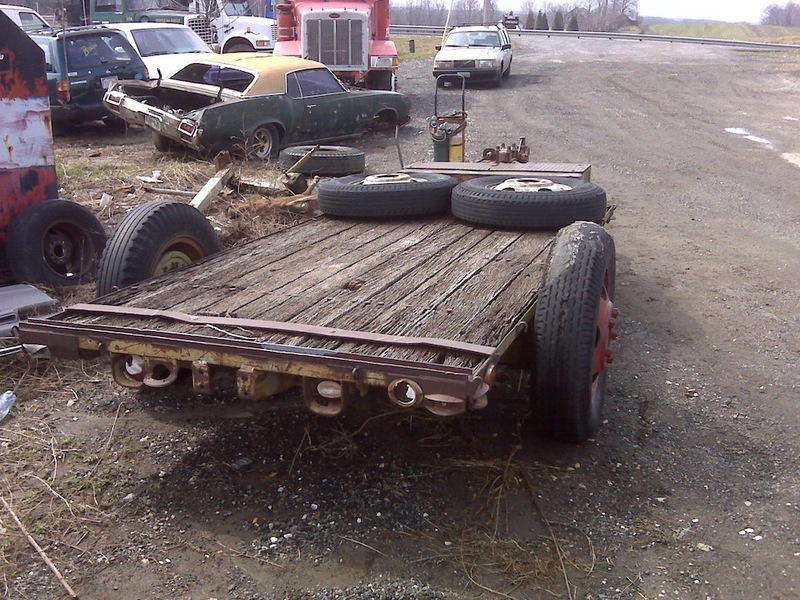 Call John at 410-608-3301 for this truck and trailer below only. 151. Titled 1961 M-151 MUTT. 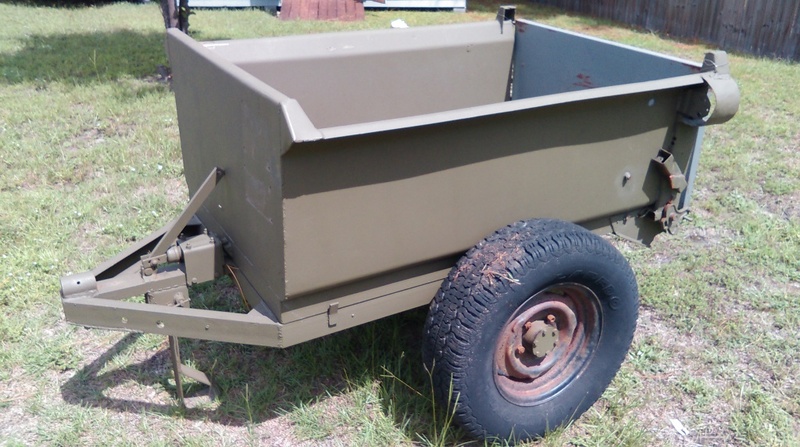 Restored with a replacement Encore 151 body, this truck has all driveline components, runs and drives, and is ready to go for an updated Vietnam-era vehicle restoration or just to take it into the field. The jeep is available for inspection by appointment only and is not located at our yard. Not shown but included is a complete enclosure kit. The next three vehicles are Dodge WC64 Knock Down (KD) Ambulances. The WC64 KD is one of the rarest of the WWII Dodges. The design was innovative, mirroring future ambulance compartment designs of the succeeding 50 years. The design was intended as a replacement for the standard Dodge WC54 ambulance, and 2-3 KD ambulances could be shipped cribbed and stacked in the space taken up by one WC54. Most people (including me before I owned one) think that the sides can be folded down for shipment but this is not so; the rear body is modularly constructed so as to be taken apart, or "knocked down," and placed into shipping crates. When the un-constructed ambulance arrived at its overseas destination, it was assembled into field use configuration. Due to its design to save shipping space at the end of WWII I like to think of this ambulance as the one built to invade Japan, intended to treat the million casualties expected in that operation. 3500 were manufactured in WWII, most were given as part of the Military Assistance Program (MAP) to European armed forces after WWII, and a handful saw service with the US Army and US Marine Corps during the Korean War. These three ambulances represent a very rare opportunity to own a very interesting WWII vehicle. More information on the WC64 KD is available on http://www.wc64.com. **UPDATE: We have decided to make use of the patient compartment body of WC64KD-3 as a model to restore other, less complete patient compartments. 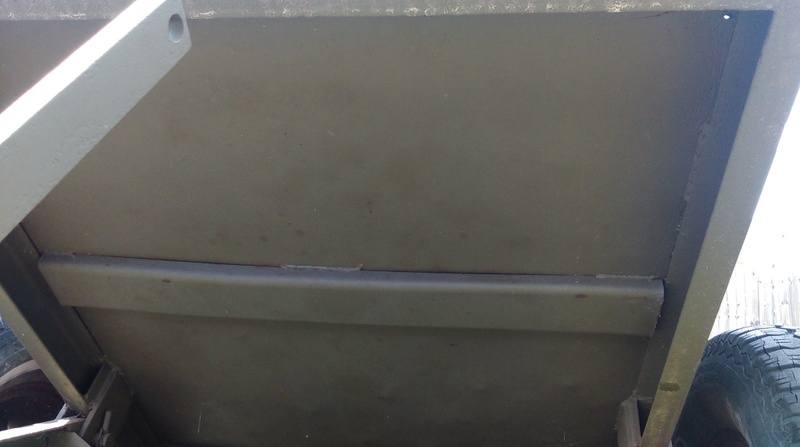 To our knowledge, this is the only known unrestored original patient compartment in original paint. Due to this fact, it offers opportunities to prototype hard-to-find parts for the patient compartment and make them available to other ambulances missing their components. At this time, we have begun overhaul of the bed or lower portion of another patient compartment. We are also making new patient compartment sides and roof components. When complete, these components will be assembled and fitted to WC64KD-3 and it will be available for sale. 5022. (WC64KD-3) 1945 Dodge WC64 Knock Down (KD) Ambulance Project. The best project you can find available. This truck is nearly 99% complete. The only items missing for a complete restoration are the cab top bows and an original cab canvas. 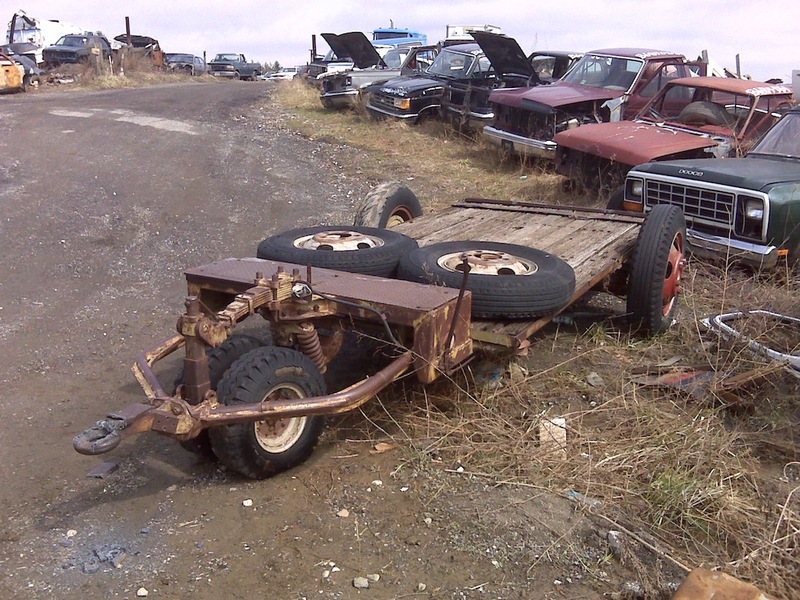 All other items needed to restore this truck are here with it. 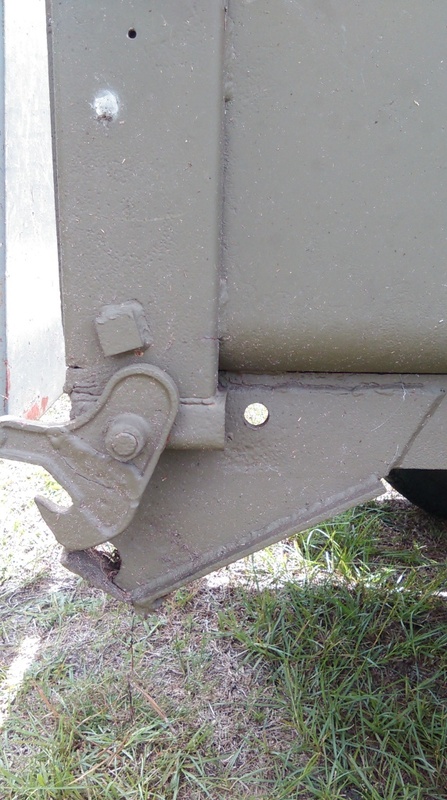 The hood number is original to this vehicle, but it is put together from an original cab and chassis with title and a patient compartment which was used as a shed for over 45 years before acquisition. I have put the best parts available with this project. With 20,000 original miles, and the original T-214 engine, this truck runs like a sewing machine and drives very nicely. You won't find a better project KD Ambulance anywhere unless you can source an un-restored one from Europe. **NOTE: This ambulance as seen here is available for sale at this price. However, we need it to stay in our possession until we are finished with the restoration, rebuild, and manufacture of the new KD patient compartment pieces we are making. 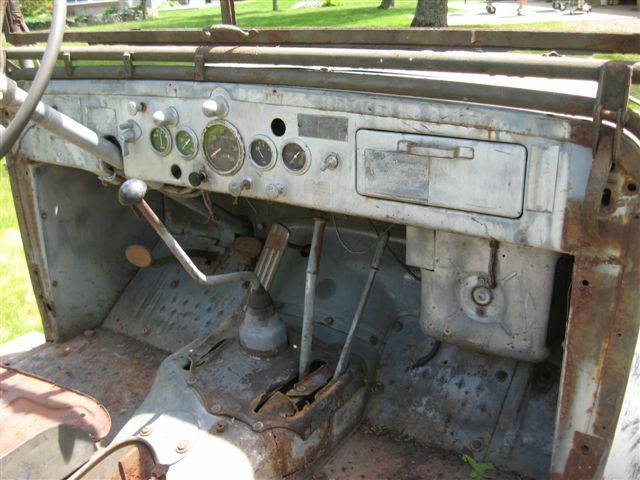 If you want to purchase this truck in this condition, with the un-restored original body on it as it is pictured in the photos above, we will sell it to you when we are finished manufacturing the new pieces. If it is not sold by that time, we will mount the newly restored body on the truck and sell it in that configuration. The price will be higher than the price listed below when we arrive at that point. 1427. (WC64KD-1) Dodge WC64 KD (Knock Down) Ambulance Project. Possibly returned from Europe, this is one of two that we found in Pennsylvania. It travelled a long distance before we got it. The engine is a T-214 which may not be rebuildable. This price is for a cab, chassis, and rear lower body. Additional pieces to complete a patient compartment are available for separate purchase. 1419. (WC64KD-2) Dodge WC64 KD (Knock Down) Ambulance Project. Originally returned from Europe, this is one of two that we found in Pennsylvania. It travelled a long distance before we got it. This one has evidence of USMC Markings on it from before it was given to the Military Assistance Program (MAP). 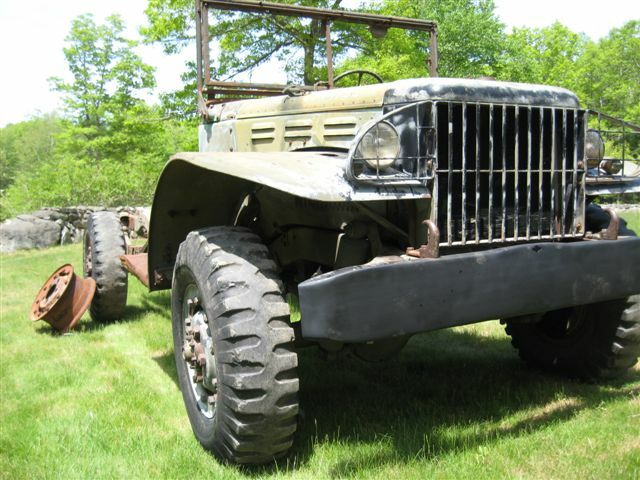 It is equipped with a T-137 engine, which is a post-WWII Dodge Power Wagon replacement engine. The other engine accessories are original to the truck except the fuel pump. Missing one half of the hood. This price is for a cab, chassis, and rear lower body. Additional pieces to complete a patient compartment are available for separate purchase. Ford GTB Bomb Truck. This GTB was based at Patuxent River Naval Air Station in WWII. It was sold surplus in the 1950's and was used in a salvage yard in Northern Virginia. The engine ran within the last few years, and we will probably fire it up in the fall to fun around. This project includes the driver and passenger seats, the chain fall and trolley, and the small winch which was used to pull the trolley. 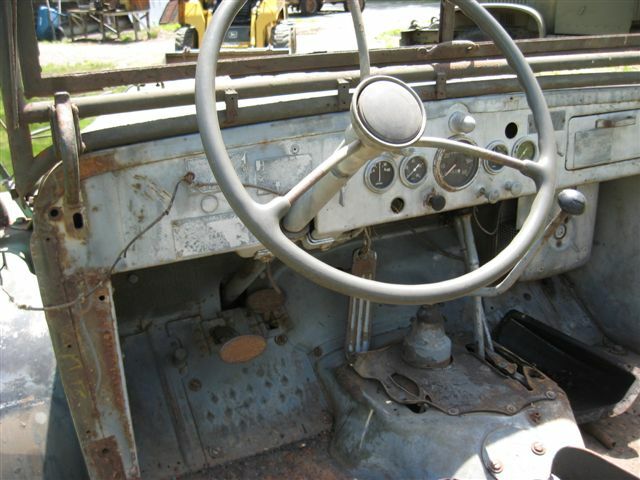 1941 or 1942 Dodge 1/2 Ton Open Cab Weapons Carrier. 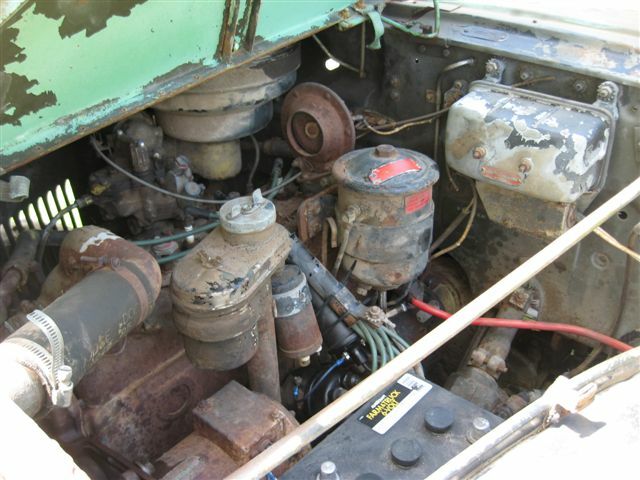 While in overall fair condition, the engine compartment on this project is complete and original, having the original carburetor, air cleaner, generator, and horn. 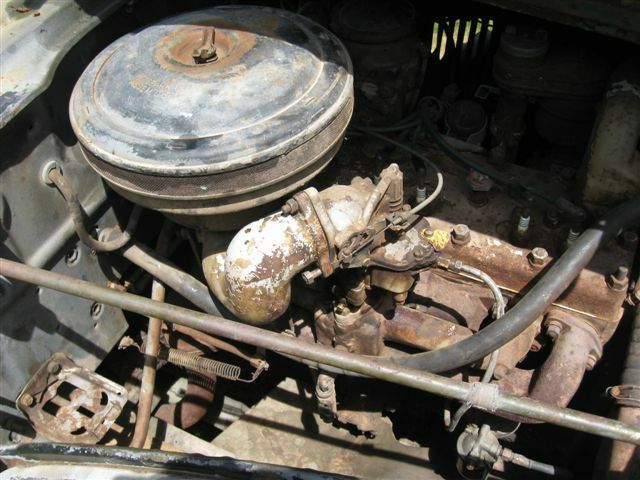 Price reflects condition and we feel this will make a good compliment to a truck without an original engine compartment. Awaiting New Photos! 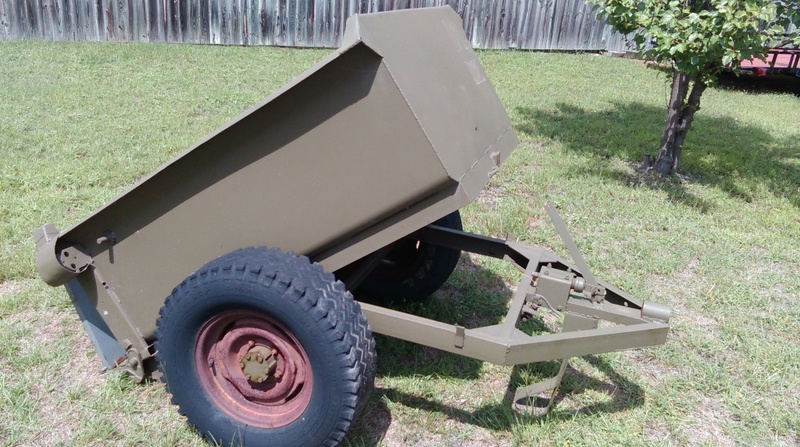 1944 US Navy Mark IV Bomb Cart. 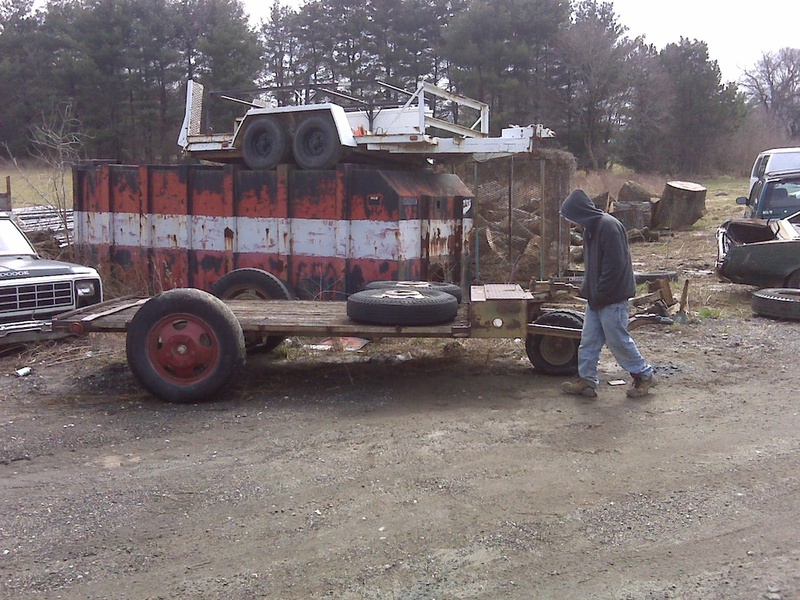 Originating at Lakehurst Naval Air Station, this was a standard WWII USN Bomb Loading Cart. Unrestored. 5460. 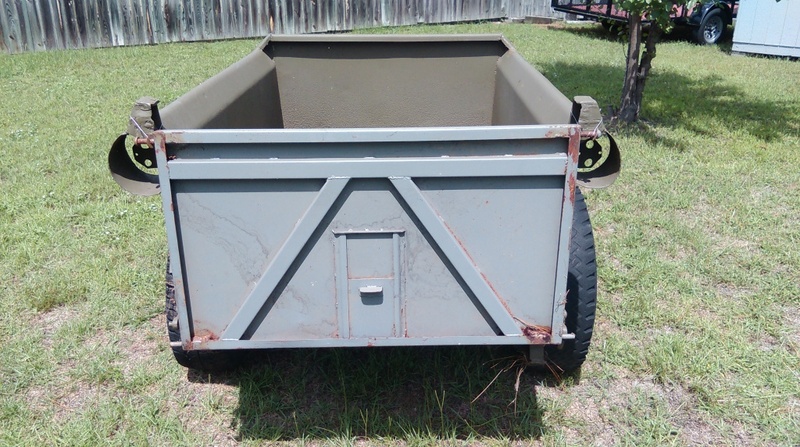 Original WWII Ben Hur 1 Ton Trailer. 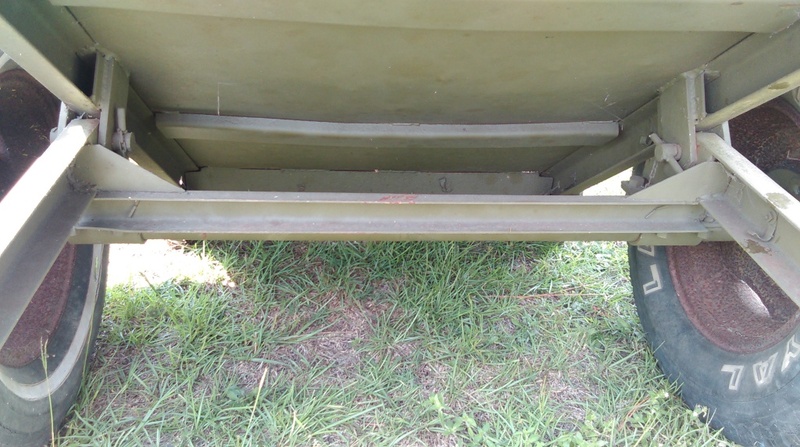 A project missing the landing leg and tailgate, this is otherwise a solid restoration project. I have components to make the tailgate. Awaiting Images! 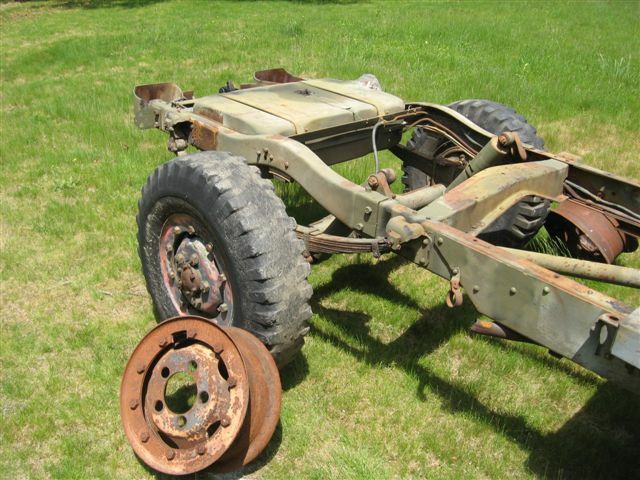 1942 Dodge WC51 Weapons Carrier Project. A very nice project. 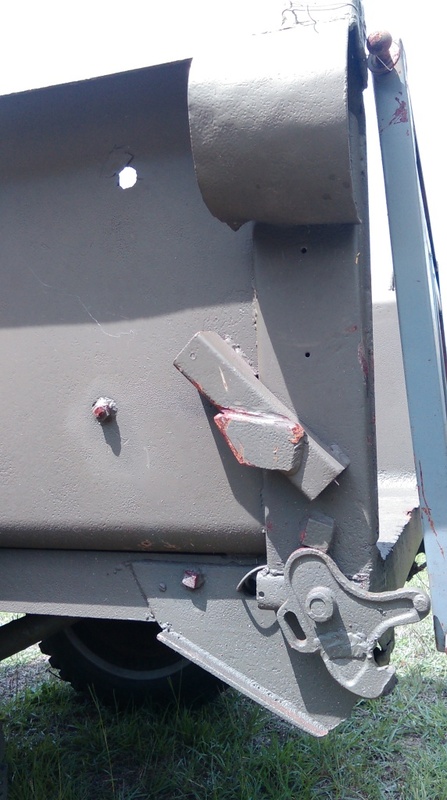 The body condition is very good with a small rust-out area on the cargo body just behind the driver's area. 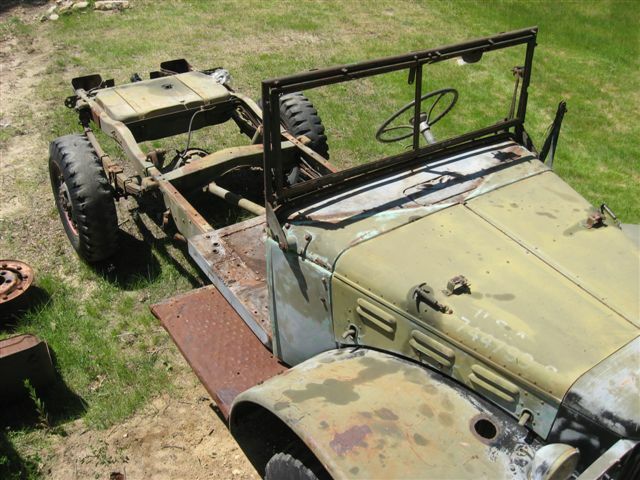 Comes with an original 1942 T-214 engine from a donor vehicle. Titled. 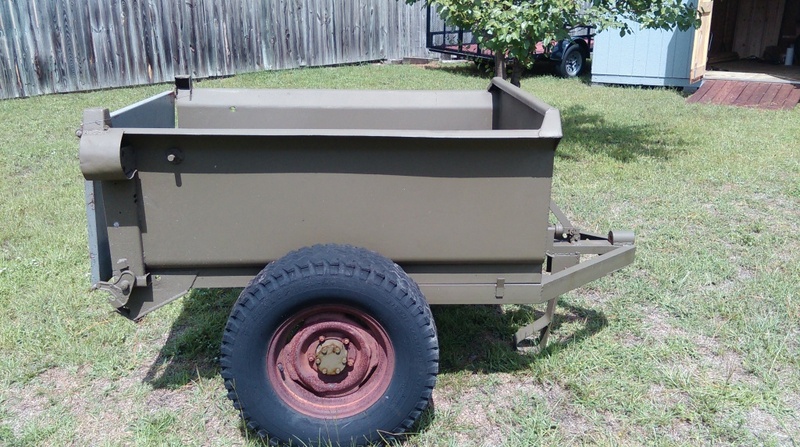 1942 Saginaw Steering Gear Company M5 Bomb Trailer. Serial number 3, the third one built. 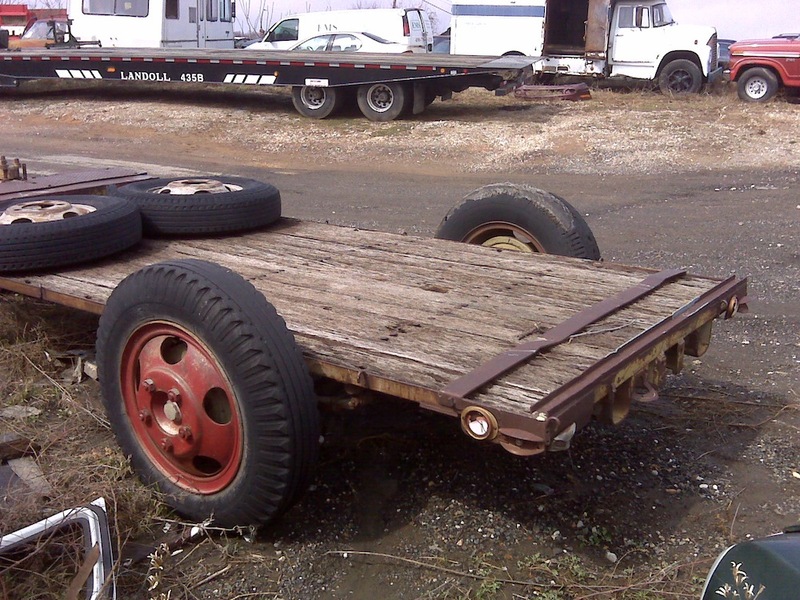 This trailer has 5 lug 7.50 x 20 rear wheels which is not original but more practical. 1977 WWII US Army Water Buffalo. Restorable tank, comes with landing wheel and safety chains not pictured here. 1967 Kaiser M35 Turbo truck. This truck runs very well, shifts nicely, and has a spare set of new wheels and tires. Titled.